今週も良い週でありますように。 I wish you all a nice week. 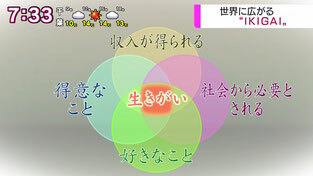 NHK introduced “ikigai” in its morning TV program, which is summarized on the web of https://www.nhk.or.jp/ohayou/digest/2018/12/1202.html. 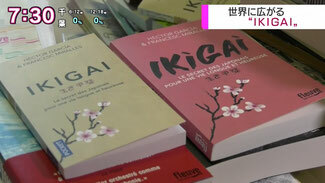 I also posted about “ikigai” a little while ago on November 30, 2018. 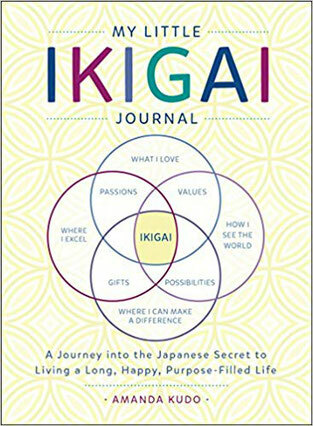 The concept of “ikigai” expressed only in one Japanese word seems to exist in the overlapped part of the following 4 elements.